From Licorne. 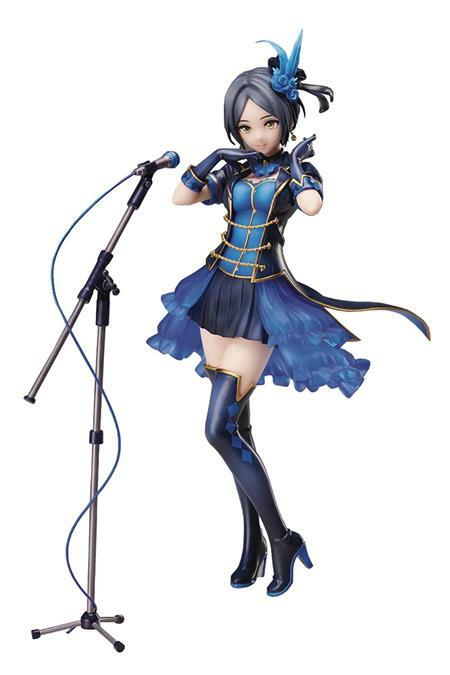 Kanade Hayami from THE iDOLM@STER: Cinderella Girls joins Licorne's Tulip lineup! Her outfit is featured in the LiPPS CD, Tulip, and her pose matches her mysterious and flirty personality. While her costume is from the same series as the previously released Frederica Miyamoto, it also contains many details unique to Kanade that reflect her style! She comes with a microphone stand to complete her stage image.